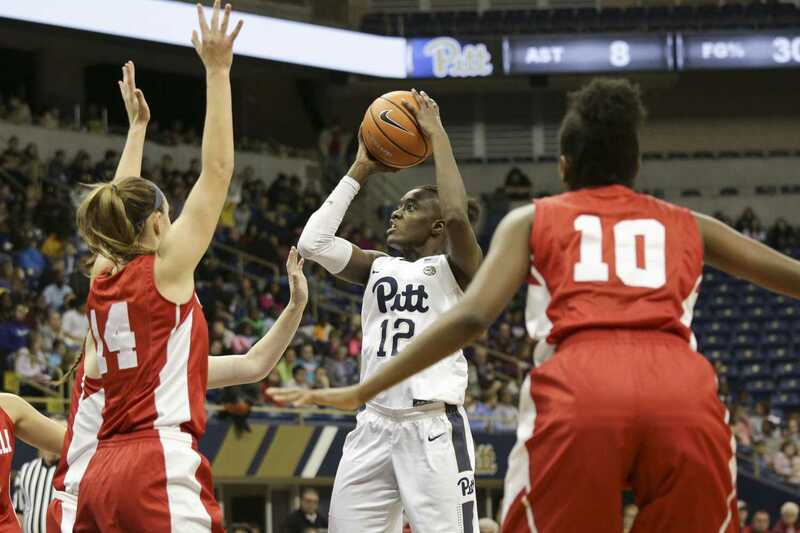 Pitt redshirt junior forward Yacine Diop announced Monday that she is transferring to Louisville for her final season of eligibility. Once she gets there, she will immediately be eligible to play. With Diop’s departure, the Pitt women’s basketball team loses last year’s leading scorer and rebounder. Diop was the first ACC Freshman of the Week in Pitt history as a first-year. She started every game of the 2014-15 season and had her first career double-double with 22 points and 10 rebounds at Duquesne. Diop finished the season with 230 rebounds, the fifth most rebounds by a first-year in the program’s history. Diop averaged 15.7 points and 6.4 rebounds per game last season. She became the 19th player in the program’s history to score 1,000 points or more, finishing her final season with 1,093 career points. The Pitt women’s basketball team made headlines this off-season when Athletic Director Heather Lyke fired Susie McConnell-Serio April 5, replacing her with former Florida assistant coach Lance White. White recently announced an initiative to “re-recruit” several players — but with Diop’s transfer he will first be scouting new players to replace her high-caliber shooting and rebounding.